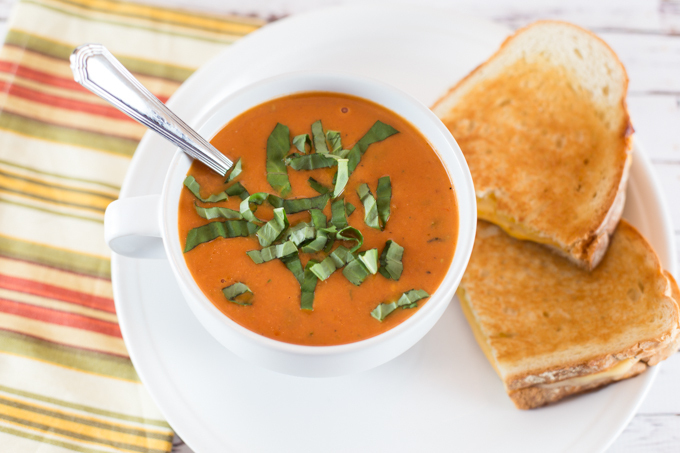 Although our fall is starting off very warm, I’m going to pretend that it’s the perfect soup weather. 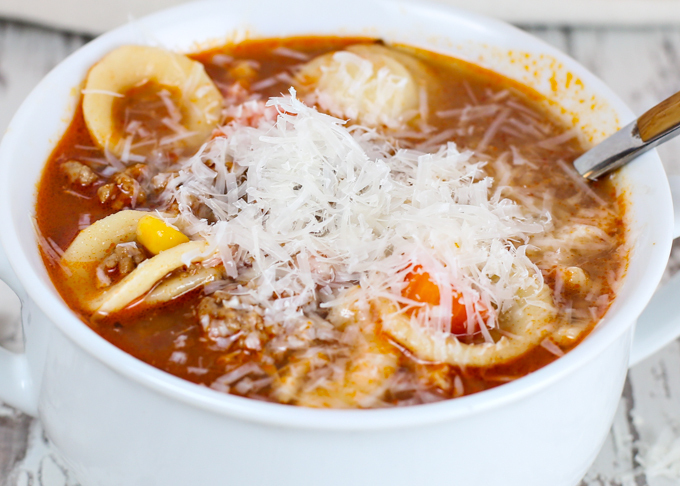 Who says it has to be cold outside to enjoy a bowl of hot delicious soup? In my opinion, it’s always soup season! 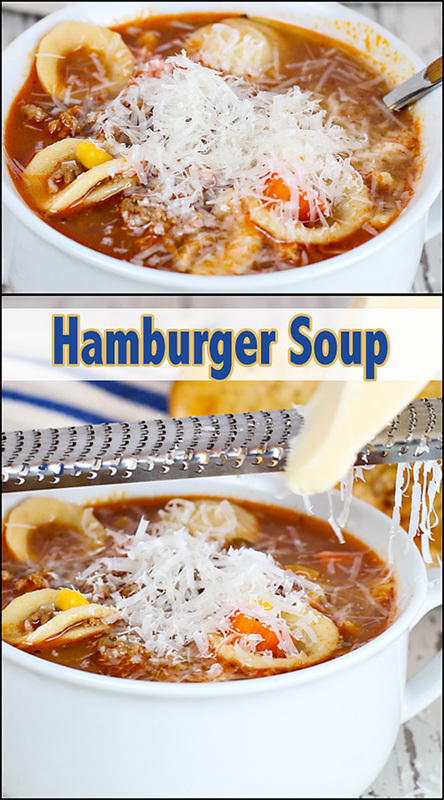 This Hamburger Soup is so simple, yet, hearty and fulfilling, and was the perfect meal (even if it was a sunny 80• day)! Shame on me, I didn’t get any “cooking” photos, but can’t you just imagine a big soup pot simmering on the stove? 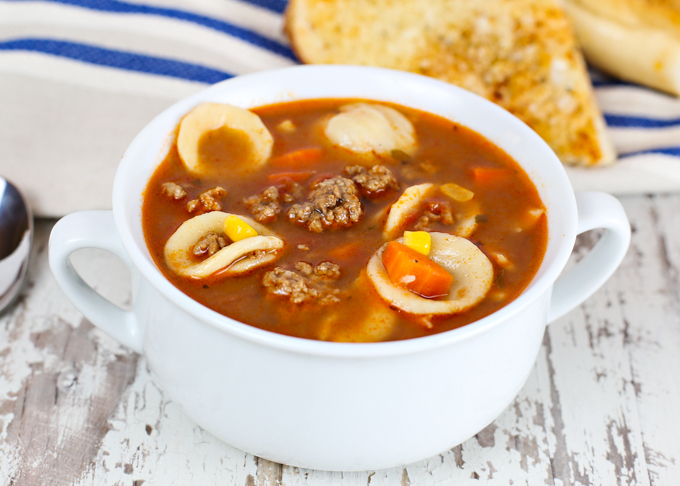 Homemade soup is so easy to make and tastes so much better than canned or stored bought. I grew up in a generation of “cooking from scratch” and really hope that you all aren’t giving in to all the grocery store conveniences. By all means, I don’t cook everything from scratch and admit to taking plenty of shortcuts (such as the beef stock I used in this soup), but I do encourage homemade meals whenever possible. 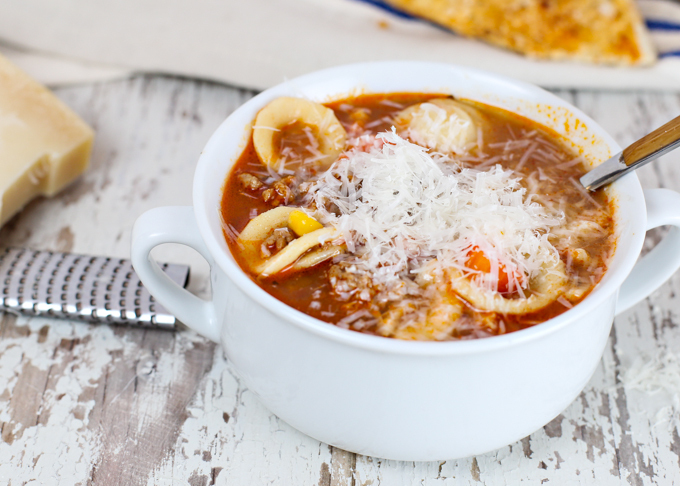 My BBQ Spice Blend was the perfect seasoning for this soup, but you can certainly use any bbq blend or simply make up a quick blend of your favorite spices (salt, pepper, garlic powder, onion powder, paprika, chili powder). Originally, my plan was to top it with grated cheddar cheese and fresh chopped tomatoes and call it cheeseburger soup. 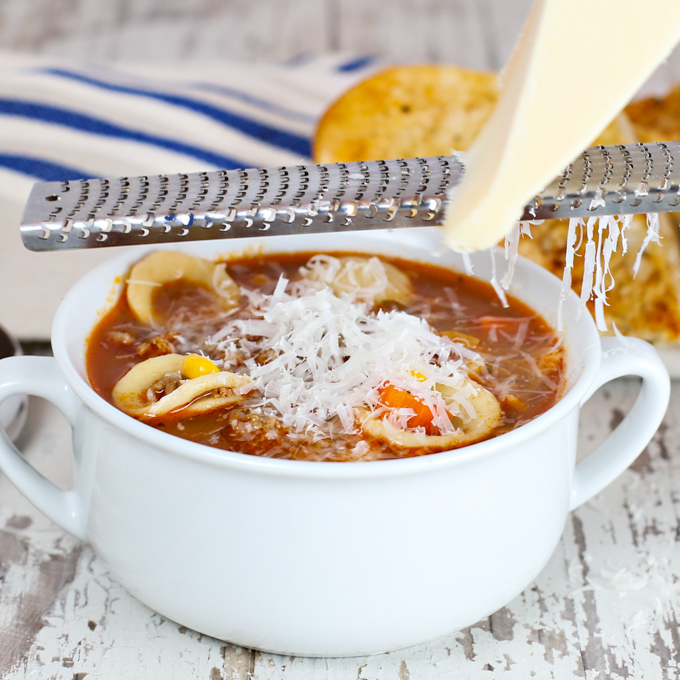 But, it was so rich and delicious without any toppings, that I decided that a bit of fresh grated parmesan was all it needed. 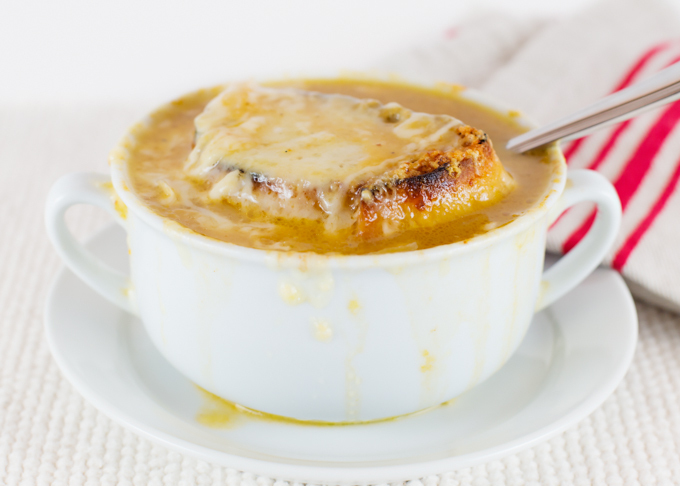 Who knows, next time it might become “cheeseburger” soup. 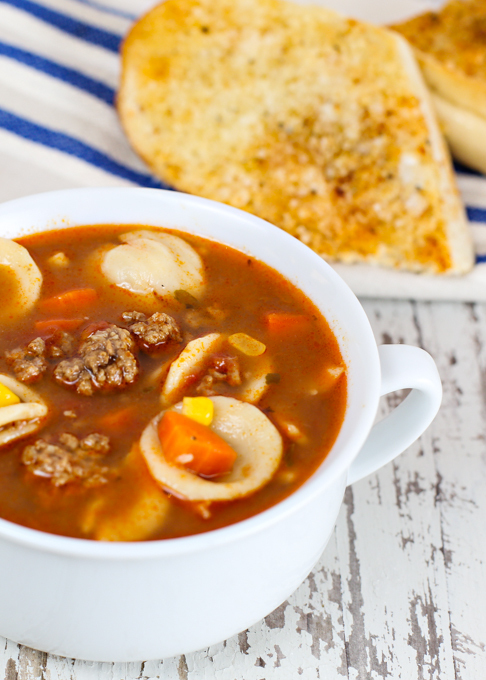 What toppings would you add to this soup? In large soup pot, over med high heat, cook ground beef, seasoned with salt & pepper, until well browned. Remove ground beef (drain excess fat if necessary) and set aside. Add carrots, celery, and onion to soup pot and saute until tender. 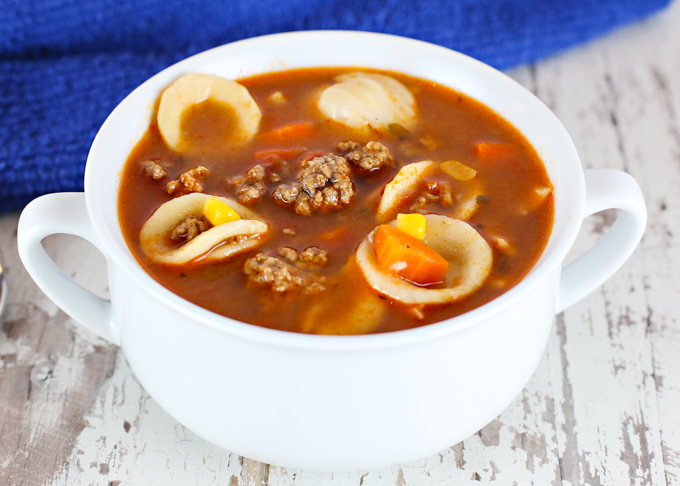 Add ground beef back to soup pot. Add tomato paste and garlic. Stir to combine and cook for 4-5 minutes. Add diced tomatoes, beef broth, water, BBQ spice, oregano, and cayenne pepper. Bring to a boil, then reduce to a simmer and cook for 45-60 minutes (this gives the flavors time to develop). At this point you can remove from heat and finish prior to serving. To serve, bring back to a boil, add pasta and cook until pasta is al-dente (according to pasta cooking directions). Add frozen corn the last few minutes of pasta cooking time. Fall is warm here too my friend. 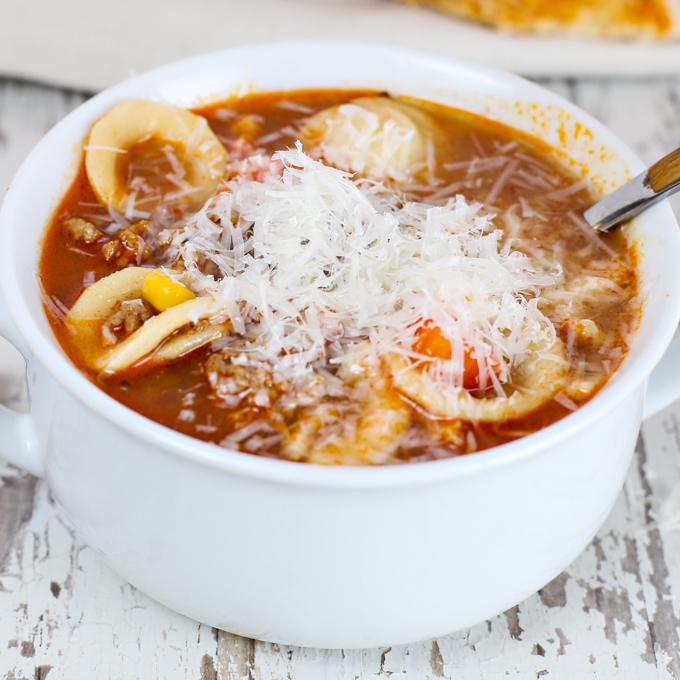 I am so ready for cooler weather and a big bowl of this soup! My mom makes something very similar to this it has always been a favorite in our house! 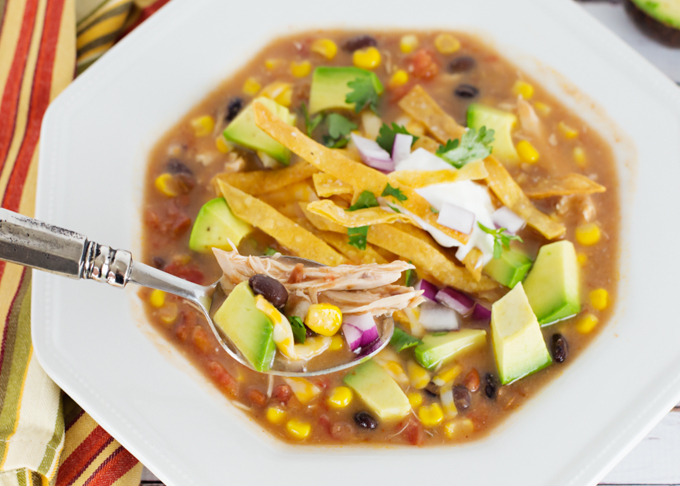 Looks hearty and delicious especially heading into the cooler temps!